Mr. S.N. Goenka (1924-2013) was a renowned teacher of Vipassana in the tradition of the late Sayagyi U Ba Khin of Burma (Myanmar). Although Indian by descent, Mr. Goenka was born and raised in Burma. While living in Burma he had the good fortune to come into contact with U Ba Khin, and to learn the technique of Vipassana from him. After receiving training from his teacher for fourteen years, Mr. Goenka settled in India and began teaching Vipassana in 1969. In a country still sharply divided by differences of caste and religion, the courses offered by Mr. Goenka have attracted thousands of people from every part of society. In addition, many people from countries around the world have come to join courses in Vipassana meditation. 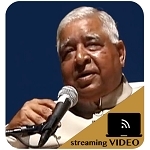 Mr. Goenka taught tens of thousands of people in more than 300 courses in India and in other countries, East and West. In 1982 he began to appoint assistant teachers to help him to meet the growing demand for courses. In meditation courses at over 150 international Vipassana centers, over 150 thousand meditators each year practice the Buddha’s living teaching as it has been transmitted by the chain of teachers that Goenkaji represents. The technique which S.N. Goenka teaches represents a tradition that is traced back to the Buddha. The Buddha never taught a sectarian religion; he taught Dhamma - the way to liberation - which is universal. In the same tradition, Mr. Goenka's approach is totally non-sectarian. For this reason, his teaching has a profound appeal to people of all backgrounds, of every religion and no religion, and from every part of the world. 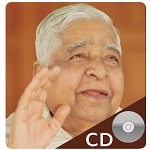 Learn more about S. N. Goenka in our "Treasures" section.